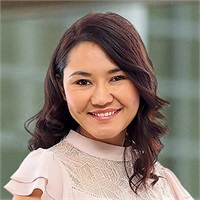 Currently a CFA Level II candidate, Gulia Beisenova possesses extraordinary analytical and communication skills that transfer well into both tactical portfolio management and personalized financial planning. As our Associate Portfolio Advisor and a participating member of our in-house Investment Policy Committee, Gulia is part of our investment team, implementing strategy and managing day-to-day trading. Prior to joining Napa Valley Wealth Management, Gulia was a financial advisor at Wells Fargo Advisors and a Private Client Banker with JP Morgan Chase, where she served and fostered strong relationships with the bank’s high-net-worth clientele.